The intense clamor to cut costs won't stop with governments but could extend to charity, too. Some needs are too great to rely on resources delivered in an uneven way. A lack of food or shelter among large groups of people, inadequate education for entire communities of children, can pose a security risk. Writing an opinion essay for Commonweal, Fran Quigley, a professor of law at Indiana University, proposes that the United States end the tax deduction for making charitable contributions, replacing the system with solid social welfare programs managed by government. Ending the deduction would provide an additional $50 billion annually to government coffers. US citizens donate more than do citizens of other countries. "We Americans get to vote with our wallets on what kind of support we want to offer the poor, an arrangement hat suits our individualism as well as our suspicion of bureaucracy," Quigley writes, but adds, "The generosity of Americans, impressive though it is, does not meet the needs of America's poor." He goes on to describe research that suggests the recipients of charity often feel demeaned. For some, certainly not all, the purpose of charity may be to alleviate guilt or instill a sense of superiority. Rob Meiksins responds to Quigley's argument for NPQ, NonProfit Quarterly, pointing out that the deduction not simply addresses needs but also quality of life: "It is about ensuring that we have a deep and meaningful cultural base to our society that both entertains and challenges." 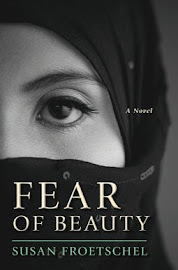 Such arguments inspired Allure of Deceit, a novel about charity gone wrong. Worries about inequality in charitable giving and misplaced priorities inspired an opinion essay, and work on the novel began soon afterward. Why does one school district get a windfall and not another? Why does society step aside from setting firm priorities? "Tax deductions for charitable giving effectively put the public good in the hands of wealthy donors and pet causes – at the expense of government revenue for the fair and reliable provision of services," I wrote for the Christian Science Monitor four years ago. Allure of Deceit picks up after the murder of a wealthy inventor and his wife while on their honeymoon. Their will and trust documents shock family and friends alike, and lead to creation of the world's largest family foundation to support programs in the developing world. The reason for the shock? The young wife had dedicated her research questioning the inequality of charitable giving as well as the connected history and etymology of "forgiving," "charity," and "wrongdoing," as detailed in the Stanford Encyclopedia of Philosophy. The corrupt can give, too, and shape minds. Corruption and waste in government hurts all government programs, and the same applies to charities, too. 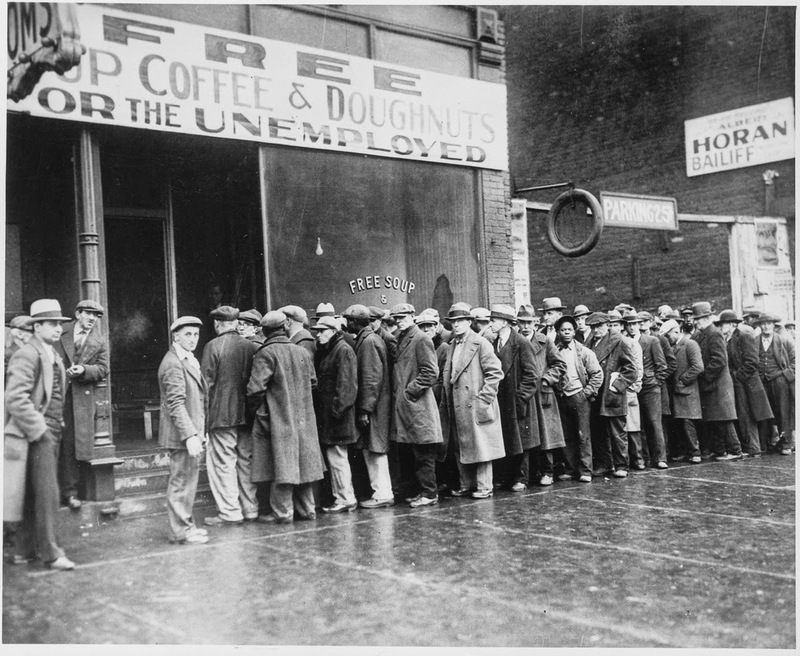 Photo of unemployed men, 1931, lined outside a soup kitchen, started in Chicago by gangster Al Capone, courtesy of US Information Agency and Wikimedia Commons. 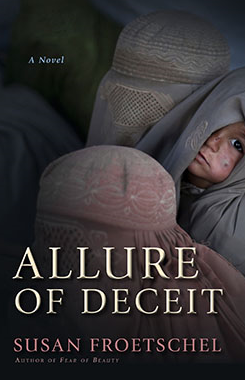 Contact Seventh Street Books for review copies of Allure of Deceit.